Availability: This product is discontinued and no longer available for purchase. For alternatives browse our Golf Clothing department. The Wilson Staff rain floppy hat is 100% waterproof and has an all-round bill that keeps the rain off the face to provide perfect protection on rainy days on the golf course. 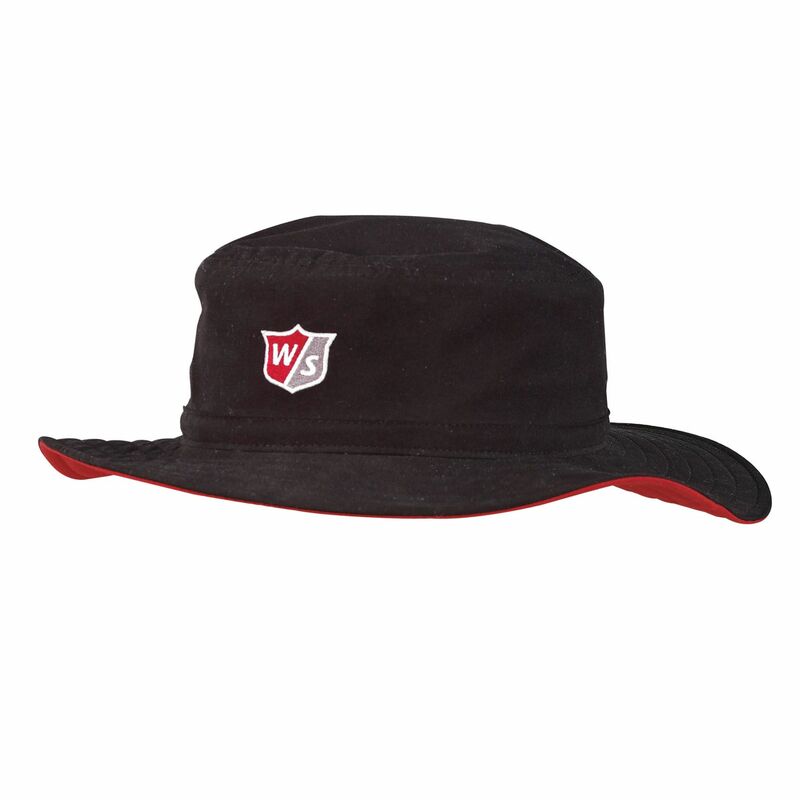 This stylish and very practical black hat is also lined to keep you cool in the sun and has a Wilson logo on the front. It is available in one size. for submitting product review about Wilson Staff Rain Floppy Hat.